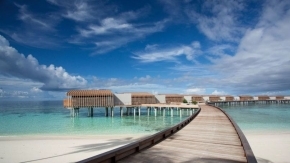 Centara Grand Island Resort & Spa, on South Ari Atoll in the Maldives, is a place right out of your dreams. This five-star resort offers palm-shaded beaches, a shimmering lagoon, serene natural beauty, superb food, spa and recreation for couples or families, at an all-inclusive price. 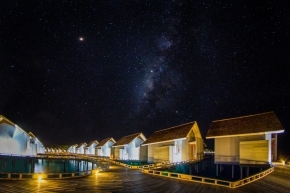 Book by 31st October 2018 for a Maldives holiday between now – 31st October 2019, you’ll save 20% and get free airport transfers. Transfers include domestic flights between Velana International Airport in Malé and South Ari Atoll airport and speedboat transfers to and from the resort. 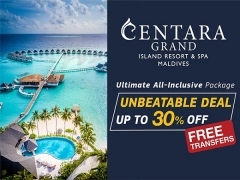 CentaraThe1Card members enjoy an extra 10% off. If you’re not yet a member, sign up. It’s free and easy. 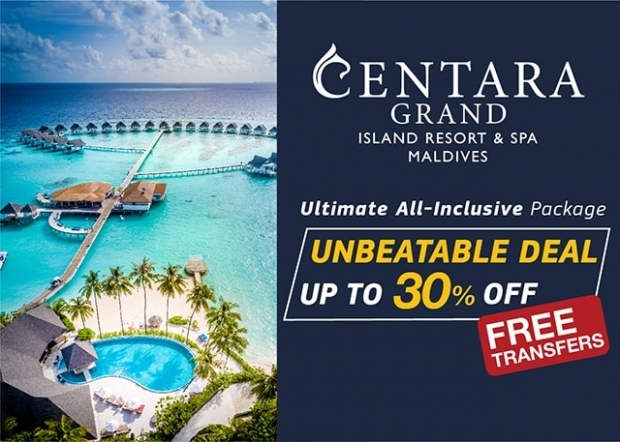 Check out Centara Hotels & Properties for more details about this offer and to book your accommodation now!